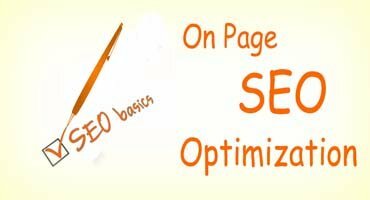 SEO Circle provides On-page optimization in Mumbai. On-Page Optimization is the technique that makes the websites well designed so that it can be viewed in the search engine. On-page makes the effort that is clearly visible in the pages of the websites making it search engine friendly. When a web site is designed a lot of points are left out, these are looked upon and corrected in this process. Our aim is to promote your web site by planning the designs according to updates from search engines. Our experts work over finding the loopholes in title, header etc. and make corrections that remain for a long time. As a part of the job under On page optimization in Mumbai, we perform the activities like optimizing the existing content, adding meta tags, removing broken or dead links, adding Google and XML site map, correcting HTML code and much more. When On Page Optimization is done to search engine crawlers and spiders get to know about the theme of the website. The content of the website is important as it affects the ranking of sites in search engine results page. As the service provider for On page optimization in Mumbai, we see to that the website has quality content with the right type of information that could be relevant to the users. We also find whether the users are interested in your websites and what is their response. Keywords are also important factor. A limited amount of significant keyword in the web page can make it gain the right ranking in the search engine result page. Keyword stuffing may lead to problem. We as the best On page optimization in Mumbai have strategies that try to make your website stand out from others. Back links might form a base for increasing the rank of your website, but they are just reminders to search engines. These are not enough effective in indexing or ranking. For having a good rank you need to have things that could make it an exception. Off-Page Optimization is also an important factor as it makes the page qualified enough to gain revenues.